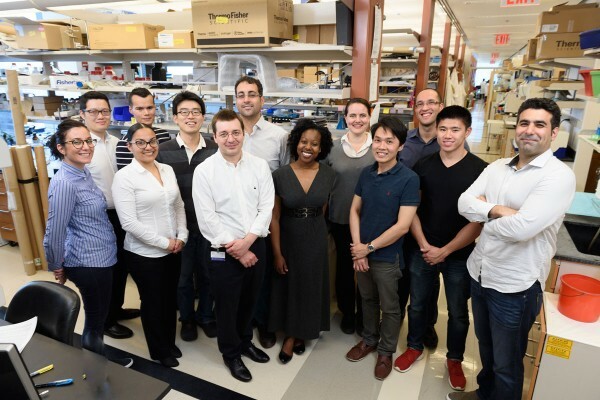 The goal of our research program is to improve our biochemical understanding of cancer metabolism and use metabolic changes to develop imaging agents for diagnosis and treatment. Our work is focused on novel approaches including hyperpolarized magnetic resonance (MR) that allows us to create non-invasive MR contrast agents with dramatically increased signal intensity. We develop these agents and approaches in the preclinical setting for rapid translation to the clinic, allowing us to observe metabolism as it happens. 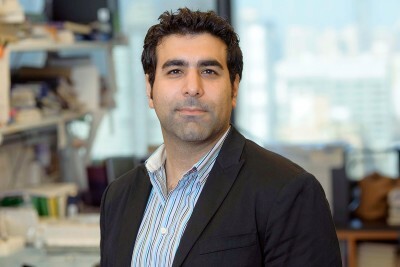 Biochemist and imaging specialist Kayvan Keshari explores changes in cancer metabolism to develop advanced imaging techniques and cancer targets. View Kayvan R. Keshari’s profile. Keshari KR and Wilson DW. Chemistry and biochemistry of (13)C hyperpolarized magnetic resonance using dynamic nuclear polarization. Chem Soc Rev. 2014 Mar 7;43(5):1627-59. doi: 10.1039/c3cs60124b. Epub 2013 Dec 20. Keshari KR, Kurhanewicz, J, Bok R, Larson PE, Vigneron, DB, Wilson DM. Hyperpolarized 13C dehydroascorbate as an endogenous redox sensor for in vivo metabolic imaging. Proc Natl Acad Sci U S A. 2011 Nov 15; 108(46):18606-11. doi:10.1073/pnas.1106920108.